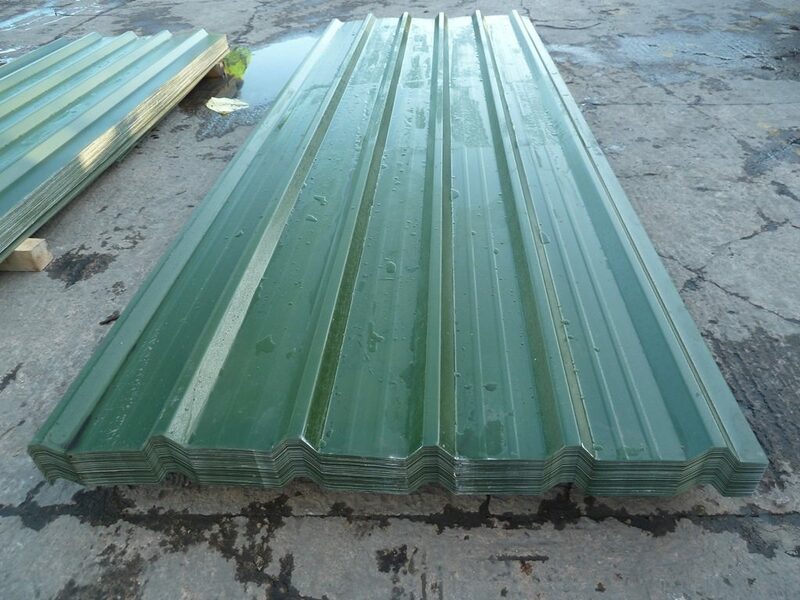 Pack of Box Profile 32/1000 Galvanised Steel Roofing or Wall Cladding Sheets, Juniper Green PVC Plastisol Coated Leather Grain Finish. 0.5mm Gauge. 1m Cover when lapped and fitted for roof cladding. 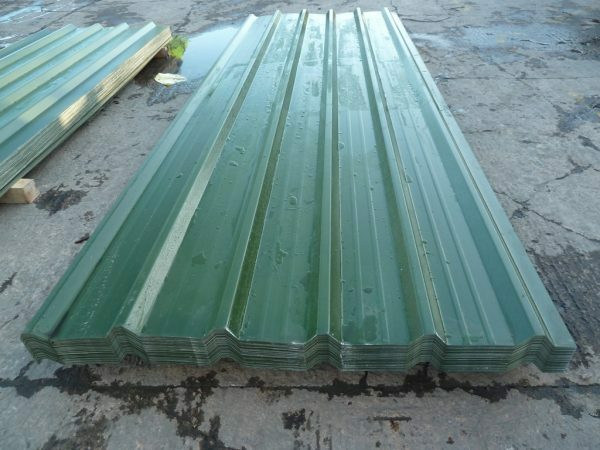 Very Cheap at just £2.00 per foot + VAT.